Congratulations and special thanks to our Logo Concept Design Contest Winner Michael Dorsett, Water Resources Specialist with Indiana University! We have already begun planning for this year's 20th Anniversay Conference at the Belterra Conference Center along the banks of the Ohio River in beautiful southeast Indiana in Florence, Indiana. If you have any suggestions for this year, or would like to assist with the planning process, please contact Karen Avery for additional information. The links on the right will become active once we have gathered the necessary information. Refunds: INAFSM must receive WRITTEN NOTICE of conference registration cancellation by August 9, 2016 to receive a refund minus a $25 processing fee. After August 9, 2016 refunds will not be available and full payment must still be made to INAFSM for cancellations and registered no-shows. INAFSM is pleased to announced we now have the registration form available for the Markland Locks & Dams Tour as well the Schenk Mansion Tour during the INAFSM Annual Conference. Please note that tour spaces are limited and registration is available on a first-come, first-served basis. For more information see the attached flyers. You may register for the tours by clicking here. Tour registrations will be verified to ensure all primary registrants are registered for the INAFSM conference. As part of the Indiana Association for Floodplain and Stormwater Management’s Annual Conference, the Association of State Floodplain Managers (ASFPM) Certified Floodplain Managers (CFM®) Exam will be offered. In order to take the CFM exam, you must complete and submit the CFM Program Application Package to the ASFPM. The forms are available on the ASFPM website www.floods.org under the Certification Program tab. The fee for taking the exam is $100 for ASFPM members and $450 for non-members. You may submit an application for ASFPM membership at the same time as applying to take the CFM® exam. In order to be accepted to take the Certified Floodplain Managers Exam at the conference, you must submit your completed application along with the appropriate fee to ASFPM by August 24 (2 weeks prior to exam date). No walk-ins will be allowed unless authorized by the ASFPM Executive office. The INAFSM Conference Program Committee is excited to announce we have a full agenda for 2016. Presenters are coming in from across the country to make the 2016 conference one you'll always remember. Click here to view Conference Agenda. The INAFSM Conference Program Planning Committee is still busy putting together a great learning agenda. But to date we are excited to announce our keynote plenary speakers. Click here to download the speakers flyer. 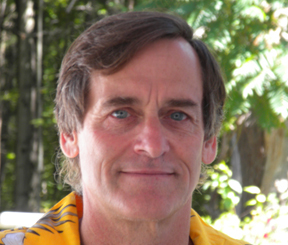 Dr. Tom Ballestero is the Director of the Stormwater Center at the University of New Hampshire. He holds licensure as a Professional Engineer, Professional Hydrologist, Groundwater Professional, and Professional Geologist. He is also a commissioner for the New England Interstate Water Pollution Control Commission. Dr. Ballestero has 4 decades of experience in water resources issues including: hydrology, water supply, stream restoration, stormwater management, remediation of contaminated sites, and coastal engineering. Harriet Festing is the Director of the Water Program and RainReady at the Center for Neighborhood Technology (CNT) in Chicago. 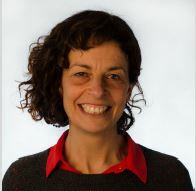 She directs CNTs work on urban flooding, integrated water management and community resiliency. She will be speaking on a Suburb that's reinventing resilience and also providing insight into whether we are adequately mapping our flood risks. She has a bachelor of science in horticulture and a master of science in business economics, both from the University of London. She is a strong believer in the power of -- and need for -- citizens to shape their future through community organizing. INAFSM has reserved a room block at Belterra Conference Center for the nights of September 6, 7, 8 and just a few on September 9. Be sure to use the GROUP CODE: S0916IA when calling 1-888-235-8377 to reserve your room. The INAFSM conference room rate at Belterra is $89 per night. Click here to view Belterra website. When: Tuesday, September 6 (Tee off at Noon). Cost: $65 per golfer for 18 holes with GPS enabled cart and range balls, payable at the clubhouse. Lunch: Optional in the Out of Bounds Bar and Grill (next to the pro-shop) at 11 a.m. and on your own. If you have questions, contact Jon Crist at (765) 744-1184 or click here. 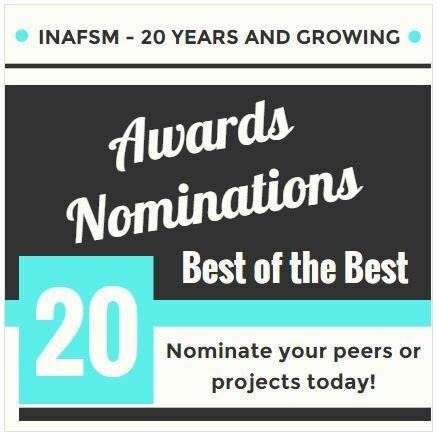 In keeping with the celebration of this year’s 20th Anniversary INAFSM Conference (Sept. 7-9), we will be offering 2 registration scholarships to the 2016 INAFSM Conference to INAFSM members. A scholarship application is available by clicking here. INAFSM membership status will be required and verified for applications to be considered. With that in mind, we are looking for some help from our members with highly developed graphic design skills. To make this fun, we are announcing a contest for all logo submissions. Logo must be submitted as a high resolution (300-dpi) jpeg (about 4” x 4” in its original size) AND as a 1” x 1” thumbnail size which should be different than the larger logo but not lose the essence of the larger logo. Bonus points for using the number “20” in the logo! THE PRIZE: Certificate for an overnight stay at Belterra Resort with complimentary dinner and breakfast at the Belterra Buffet! Certificate to be mailed to winner this spring! DEADLINE FOR FILES: Send all entries to [email protected] by Noon, Monday, February 29, 2016! DISCLAIMER: CONTEST IS OPEN TO INAFSM MEMBERS WHOSE DUES ARE CURRENT ON OR BEFORE THE DATE THAT THEIR LOGO CONTEST ENTRY SUBMISSION IS RECEIVED. We are pleased to announce that we are now accepting submissions for the 2016 INAFSM Conference Program at Belterra Conference Center Sept. 7-9, 2016. The deadline for submissions is Monday, February 15, 2016. 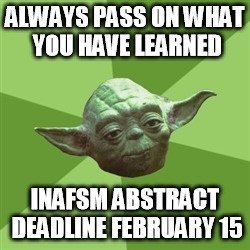 Please submit conference presentation proposals via the abstract form on the INAFSM website www.inafsm.net or Click here for form. CLICK HERE to be directed to abstract submission form. Regarding the SUBJECT MATTER of your presentation, contact Conference Program Chair, Lori Gates, at [email protected]. Regarding the SUBMISSION PROCESS, contact Karen Avery at (317) 829-3656 or [email protected].